Barnsley slumped to just their second defeat of the season as they were downed 2-0 at Charlton. Karlan Grant's double, scoring once in each half, saw off the Reds, who were not at their best in London. They showed none of the threat that had seen them score 10 goals in their last three matches and struggled to make any impression on the home defence. Grant gave the Addicks a flying start in the eighth minute, taking a superb diagonal pass from Jamie Ward and hitting a low shot across Barnsley goalkeeper Adam Davies and in off the far post. Alex Mowatt tested Jed Steer with a free-kick from distance but that was the Reds' only moment of note in the first half. Davies was kept busy by Ward, who tested him twice. Kieffer Moore came on at half-time after his ankle injury but he could not change the complexion of the game and Grant got his second seven minutes after the restart. Lyle Taylor, who used to play for Sheffield United, sent a low cross, which saw Grant convert his eighth goal of the season. Charlton: Steer, Dijksteel, Bielik (Sarr 82), Pearce, Taylor, Reeves (Lapslie 74), Ward (Fosu 62), Aribo, Grant, Solly, Cullen. Subs not used: Phillips, Pratley, Marshall, Ajose. 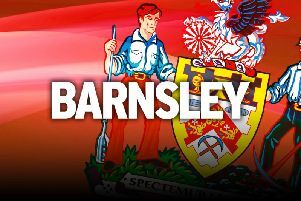 Barnsley: Davies, Dougall, Pinnock, Lindsay, McGeehan (Moore 46), Moncur (Hedges 61), Cavare, Potts, Pinillos (Thiam 61), Mowatt, Brown. Subs not used: Walton, Jackson, Williams, Adeboyejo.